nabi - FX Phineas and Ferb Headphone Wrap Just $2.99 Down From $19.99 At Best Buy! You are here: Home / Great Deals / nabi – FX Phineas and Ferb Headphone Wrap Just $2.99 Down From $19.99 At Best Buy! 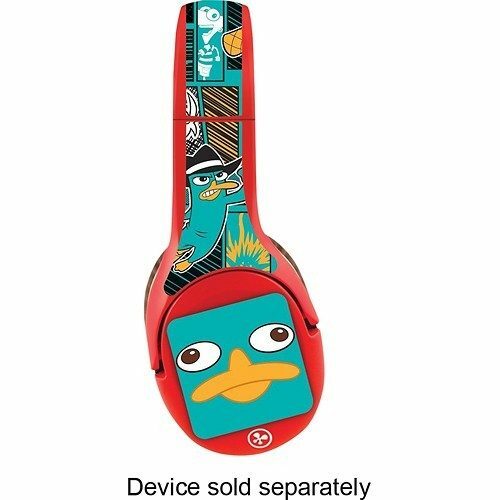 nabi – FX Phineas and Ferb Headphone Wrap Just $2.99 Down From $19.99 At Best Buy! Best Buy has this nabi – FX Phineas and Ferb Headphone Wrap on sale for $2.99 (Reg. $19.99) + FREE in-store pick up! Designed for use with select nabi headphones, this easy-to-apply nabi FXPhineas and Ferb wrap helps your little one protect his or her headphones against dirt, scratches and damage. The included 3D Agent P and Perry Kinabis offer a stylish look.